Under LB276, introduced by Sen. Joni Albrecht of Thurston, a district court in the county where the violation occurs would have jurisdiction to grant a restraining order or a temporary, permanent or mandatory injunction against that person. That would be in addition to an existing criminal penalty against such a violation. 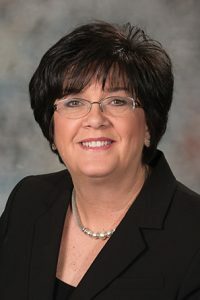 Sen. Lydia Brasch of Bancroft introduced an amendment, adopted 29-0, that would require the director of the state Department of Agriculture — when he or she has reasonable belief that a violation is occurring — to report that belief to the attorney general or the county attorney in which the violation is occurring. The attorney general or county attorney then could pursue legal action. The bill also would clarify the definition of hybrid seed corn and the process of cross fertilization as it relates to hybrid seed corn. Hybrid seed corn would be limited to seed of the first generation of a cross involving two, three or four different inbred lines of corn or their combinations. Senators voted to advance the bill to final reading by voice vote.